Welsh Water is currently working in the Meadows. They are bringing a water main back into operational use. The work was to have been completed by this month, but as the pipe is in a worse condition than expected, the work will not now be completed until the end of February 2019. 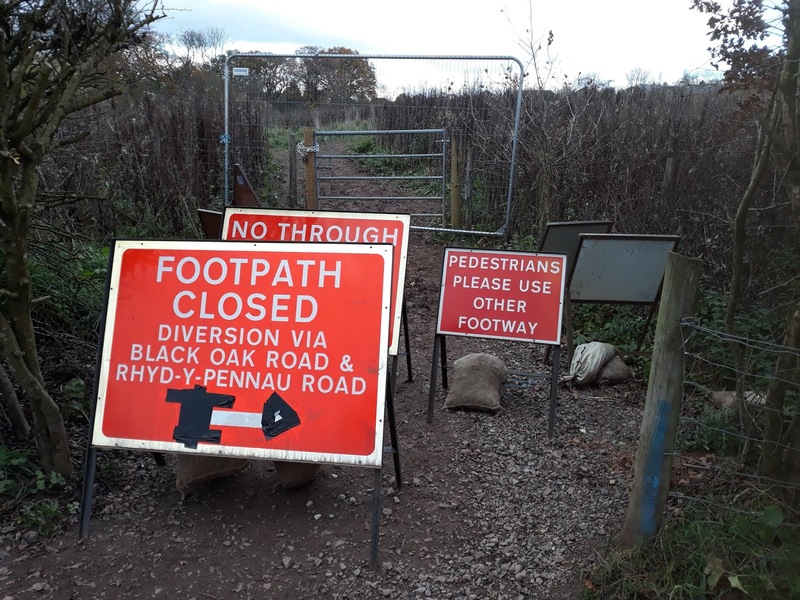 A temporary footpath was created by Welsh Water, running behind the houses in Black Oak Rd. 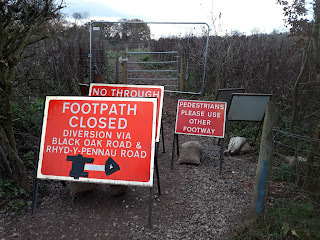 It has now been closed by Welsh Water as it is so muddy.In order to walk between the Old Reservoir Car Park (off Rhydypenau Rd) and Rhydyblewin Farmhouse it is now necessary to go via Rhydypenau Rd and Black Oak Rd. 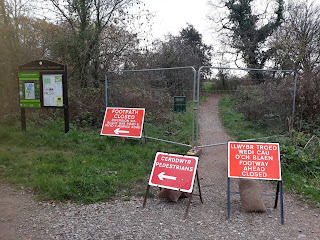 Diversion signs are in place.